Písac (or Pisaq in Quechua-spelling) is a small town about 35 km from Cusco. Pisac is best known for its Sunday market, but is also known for some ruins dating from about the same time as Machu Picchu. The hordes of tourists arriving on buses have obviously diminished the charm of this town, but there are still sights worth visiting. Tourist information is available at an office on the east side of the main plaza. From Cusco there are frequent buses leaving at Av. Tullumayo 207 (S/3.50 as of 2017). The buses drive quickly enough, but they take a long time because they wait around in Cusco for a while picking up passengers. Alternatively, you can take a colectivo (large shared taxi) for S/4, which will get you there faster. The town is small enough for walking. Taxis are available for a ride to the ruins. Even in the less touristy parts of town, such as the main drag down by the river, the streets are crowded with aggressive taxi drivers trolling for fares. Spread out amidst silvery eucalyptus, purplish clay slopes, and the slate-green Urubamba River in the mountains above the town are the Inca ruins of Pisac (entry from 08:00 to 16:00). There is a large agricultural section with terraces and several ruins. Allow for at least a couple of hours to visit. You can take an exhausting climb up there or take a taxi up to the site (S/15-25). Admission is by boleto turistico. Arrange to get dropped off at the Pisac ruins' higher parking lot and walk to the Intihuatana (Sun Temple). Note the caves in the cliff to your right: they are South America's largest pre-Columbian cemetery. Return to the parking lot via the lower path. The new river-side promenade, which is unspoiled, fairly pleasant and uncrowded, is also worth a visit. The Virgen del Carmen festival is in July, and includes colorful costumed dancers and a parade. There are few foreign tourists, and it's definitely worth a day trip via bus from Cusco if you like a little culture and history. As usual, beware of skilled pick-pockets. El Santuario animal de Cochahuasi (The Animal Sanctuary of Cochahuasi). It's a project of rescue animal center. 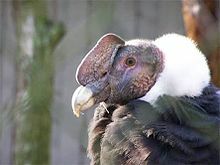 People can see endangered species of animals like condors, pumas, bears. Also there are some animals from jungle and andes areas in Peru. It's situated in km 22 in the road from Cusco to Pisac, 1½ km before Pisac. email:  . Although very small, it is worth putting several hours to a whole Sunday aside for the Pisac market. People are coming down from the highlands with their products, including some very fresh food, raw materials, tomatoes, rice, potatoes. It is worth sitting down with the locals for a lunch eating just that, along with trout clearly just pulled from the river. It costs about S/5, but is a meal to remember. There are bazaars along the streets of Pisac, if you want to buy local handcrafts, it is worth checking them out here. Silver jewelry combined with gemstone work is common here. Alpaca goods, musical instruments, rugs, and knick-knackery of all kinds can be bought at this market. The main plaza is filled to overflowing with a hundred or more stalls selling the same forgettable tourist junk available all over Peru, with more stalls spilling over onto the surrounding streets and the area in front of the church. Prices for tourists may be significantly higher than for locals, with prices for items like bottled water marked up 50 percent or more from what is charged in Cusco. The streets near the main plaza are lined with overpriced restaurants serving mediocre fare. Restaurants may double their prices for tourists. Sit down with the locals and try some of the typical food of the region at one of the food stands at the market. Ulrike's Cafe. Ulrike's Cafe is very good. It has great vegetarian options, good value, filling meals, local experiences such as Chicha Morada, and delicious deserts such as Kahlua cheesecake. The three-plate meal with soup (pumpkin soup is especially tasty), entree (try the vegetable lasagna), and cheesecake is S/17, or with a brownie and ice cream for S/14. Meals can be obtained for S/10 or less depending upon the quantity desired. You can also inquire about local lodging here. 7-17 Soles. Pisac does not abound in nightlife options. Currently the only place to get a drink is Sapo's Lounge on Calle Espinar. They also do the best pizza in town. ChaskaWasi, (Avd. Amazonas s/n). A beautiful hostel by the river. Includes common kitchen and dinning area, garden and mediation room. Melissa Wasi. B&B with wonderful view, huge garden, common kitchen, dinning area, common area, and very nice hosts. On the way to Pisac from Ollantaytambo or as a day excursion from the city, visit Moray, the agricultural laboratory of the Incas. This city travel guide to Pisac is an outline and needs more content. It has a template, but there is not enough information present. Please plunge forward and help it grow!